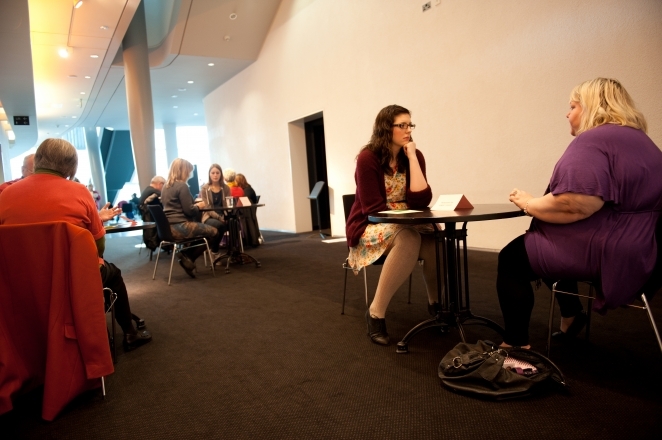 Where books are people and reading them involves a conversation. Books in our Human Library come from all walks of life, including people whose life experiences have been misunderstood or misinterpreted in popular media and culture. 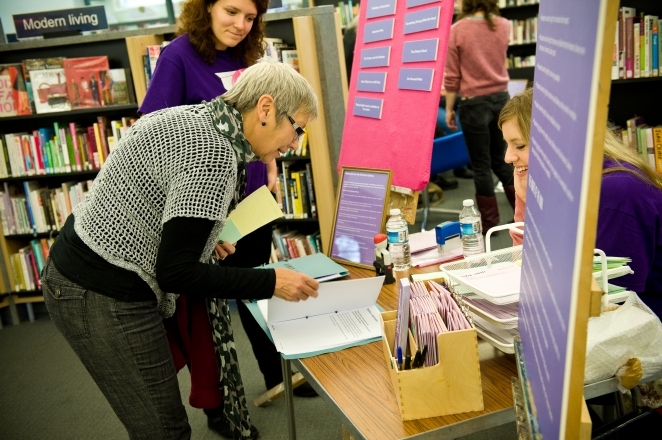 Human Library aims to challenge stereotypes and to confront stigma and discrimination in all forms. 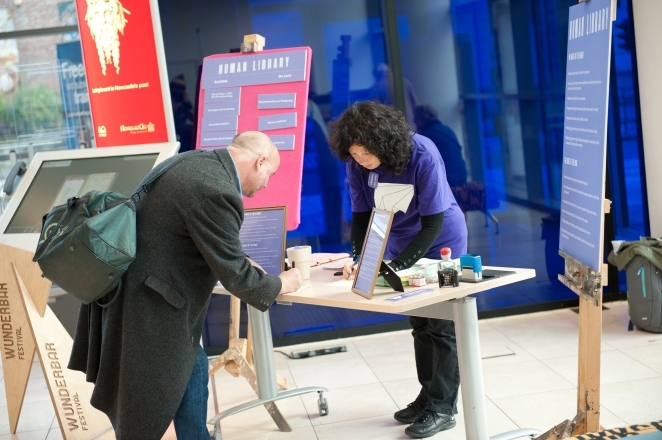 Human Library works just like a normal library – open to all, readers choose from a catalogue and borrow a Book for a limited period of time, returning it back for others to share. The twist is that the ‘Books’ are people and that ‘reading’ them involves a conversation. Human Library began in Copenhagen in 2000, from an invitation to the youth group Stop The Violence by Roskilde Festival, to challenge violence at this huge summer festival. There, the Human Library was born and now it takes place all over the world. 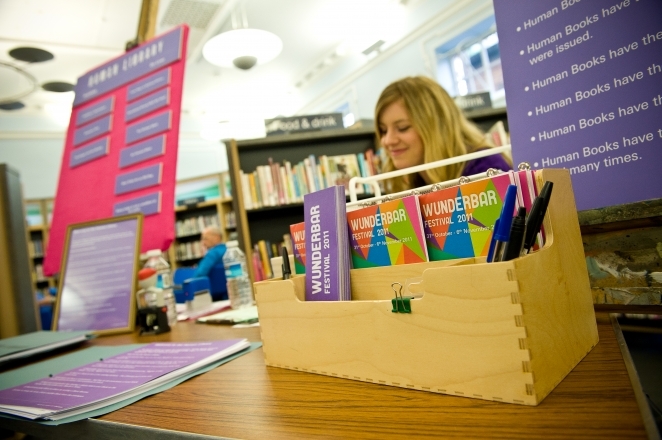 An open source style event, Wunderbar has hosted two Human Library events in the North East, in 2011 and 2013 and facilitated one in Bristol, 2013. 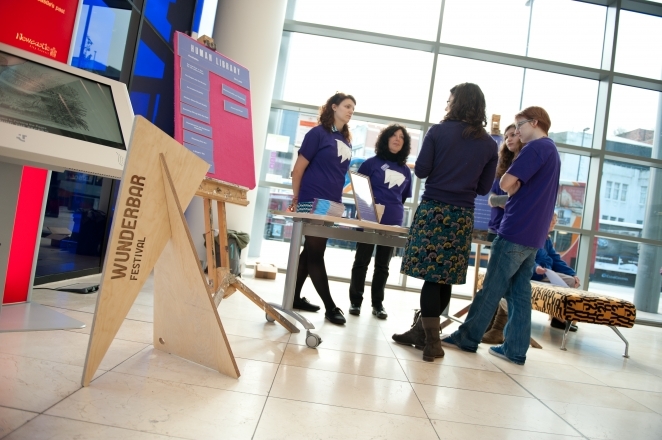 We’ve been gathering feedback from all our events – check out what our Bristol book “I’m not deaf, I’m ignoring you… oh no wait, I am deaf,” aka Donna Williams, wrote about the experience on her blog. And there are so many book reviews we have just chosen a few snippets to share. – A reader of “The Dragon and the Monkey”. – A reader of “The Ups and Downs and Ups and Downs and Ups and Downs: A Bi Polar Life”. – A reader of “Unemployment and Accidental Happiness”. – A reader of “New Tricks for an Old Dog”. – A reader of “The Truth About Youth”. – A reader of “Invisible Disability”. – A reader of “German and Proud”.